Please note from the 8th of January 2018 doors will be opened from 8am. Monday and Tuesday between 6.30pm – 7.30pm. Evening and weekend appointments are also available to book for all patients in the Hounslow locality. Tel: 020 8630 1666 or 111. Morning Surgery Appointments to see the GP between 8.30am – 12.00 noon are available to book from 12 noon the day before. Some pre-booked morning appointments are available up to 6 weeks in advance. We also operate a Walk-in Clinic which will accept patients from 8.30am – 10.30am. It is run by one doctor and you will have to wait your turn. Telephone Consultations For help and advice, call us on 020 8630 1666. Nurse Appointments Please book an appointment with the Practice Nurses. They can help you with a range of issues from health management to vaccinations. Book in Advance Appointments can be booked online, via phone or at the desk up to 6 weeks in advance. We offer afternoon and evening appointment. On Mondays and Tuesday appointments are available until 7.20pm. Online Services Patients can book appointments up to 4 weeks in advance and 10 minutes before the appointment time using our online booking system. Appointments with your GP are 10 minutes in duration. If you feel you would like longer please advise the receptionist. Email Please email your prescription request to wellesley.prescriptions@nhs.net. Post If a stamped addressed envelope is supplied your prescription can be returned via Royal Mail. Wellesley Road Practice offers a variety of clinics and services for all patients. Get to know the medical and administration team at Wellesley Road Practice. We welcome new patients. If you live within our practice area you may register with the practice. You can contact Wellesley Road Practice and find other useful contact details. Who do I see: GP Advice: Please make an appointment online or contact reception on 0208 630 1666 in the usual way to make an appointment. Who do I see: Phlebotomist Advice: Clinics are held daily at various times. For Warfarin monitoring it is preferred for all samples to be taken at the beginning of the week. Appointments for blood tests MUST have been requested by your GP doctor. If you are in doubt please call to speak to one of our nurses who will advise you. Who do I see: Contact Hounslow Council Advice: Tel: 020 8583 3073 or visit Hounslow Council website. Who do I see: GP Advice: Antibiotics are NOT needed for the common colds as colds are caused by a virus. Visit NHS choices for more information. Who do I see: Dentist Advice: Please book an appointment with your dentist. To find a dentist in your area go to NHS Choices. Who do I see: Nurse Advice: Please make an appointment online or contact reception on 0208 630 1666 in the usual way to make an appointment..
Who do I see: GP Advice: Make an urgent appointment with the nurse or doctor. Please explain to the receptionist that the appointment is urgent and they will do their best to fit you in. 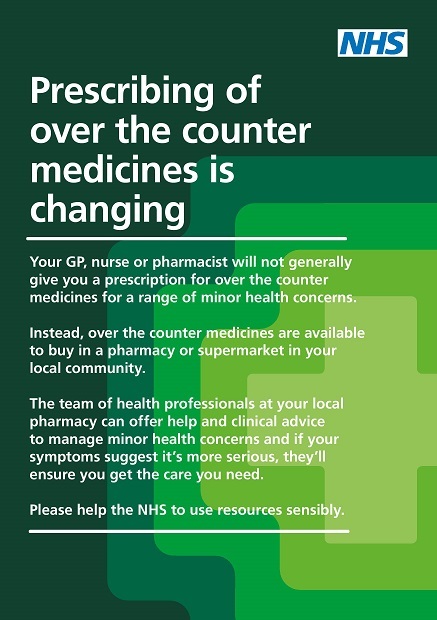 Who do I see: Pharmacy/GP Advice: Please view the NHS Choices Advice. 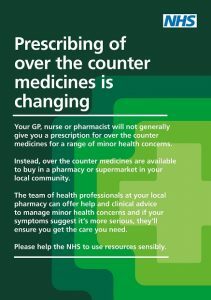 See your Pharmacy or GP. Who do I see: Inform the Receptionist Advice: British Passports do no longer need the Doctor's signature, Irish Passports can still be processed. Forms are not covered by the NHS, there will be a charge for this service. Please read the form carefully and fill in and sign any parts that you need to complete before you bring the form to the surgery. We ask that you allow up to 21 days for the process to be completed, you will be contacted by phone when your form is ready for collection. Who do I see: GP or Nurse Advice: Please make an appointment online or contact reception on 0208 630 1666 in the usual way to make an appointment. Who do I see: Nurse or GP Advice: Please make an appointment online or contact reception on 0208 630 1666 in the usual way to make an appointment.